Majors Home Improvement is proud to offer window replacement services for homeowners in Pensacola, Florida, and all surrounding communities. 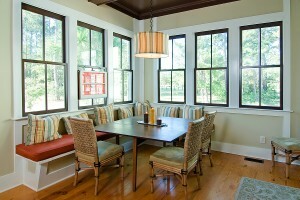 Replacing the windows on your house is a wonderful home investment. Not only will new windows enhance your home’s curb appeal, but they can also improve the energy efficiency of your residence, providing protection from UV rays and helping to limit the amount of heat transfer that occurs. This means your home will stay cooler in the summer and warmer in the winter, while decreasing the stress on your HVAC unit. Our Majors Select™ Vinyl Windows are available in a variety of styles, including casement, bay, bow, awning, double hung, picture, and much more. You’ll also be able to select from various exterior colors, interior wood grain finishes, and grid designs to find the option that suits your style beautifully. Plus, since every window replacement we perform is custom manufactured, you can be sure your new windows will be designed to fit your home specifically. So, when you’re ready to get started on your window replacement project in the Pensacola, FL, area, contact Majors Home Improvement. We’ll be happy to answer your questions and can set up a design consultation at your home.